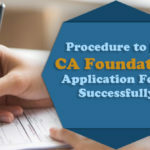 The Complete Procedure for submission of CA IPCC Application form for May 2019 is explained thoroughly in this blog. 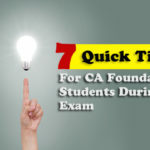 CA IPCC exams are conducted twice in a year May and November by Institute of Chartered Accountants of India. ICAI has released the date for the submission of Exam Application form by releasing a notification. The candidates can apply for the form from 20th February 2019 to 16th March 2019. Candidates might also submit CA IPCC Exam Application Form for May 2019 attempt after due date by making the payment of late fees up to 23rd March 2019. 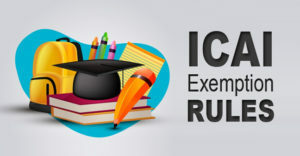 With the same notification, ICAI has also released the date sheet for IPCC May 2019 Examination. 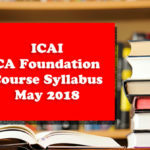 On this page, we are providing you the link which will land you directly on the ICAI official page from where you can apply for May 2019 CA IPCC Exams. 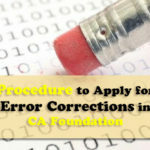 Also, here you will get the procedure of how to fill the CA IPCC application form. 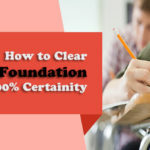 ICAI gives you liberty either to apply for a single group or both group as per your preparation. Let’s check it. 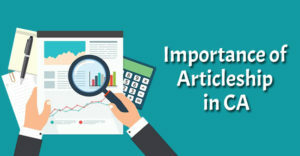 The only way for the submission of CA IPCC Exam Application form for May 2019 attempt is from the ICAI official portal only. 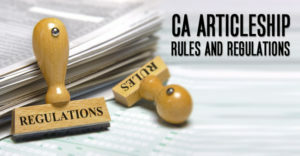 No physical application is allowed for application of CA IPCC Exams for May 2019. However, for submitting the online IPCC exam application form, you have to register first on the ICAI portal. Then only, you can make an online application. Candidates already registered on ICAI portal can directly make the application by login into their account. But unregistered candidates have to register first from the “Register Now” button. In order to complete your basic registration, you have to submit your Email ID and Mobile Number. 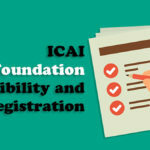 In case your details are getting matched with the ICAI records, you will get facilitated by Provisional Registration. Once your basic registration gets completed, all your registration details and the verification code will be sent to you on above-mentioned Email and SMS. If the registration is not yet completed, you have to complete your profile which can be referred to as the second step of registration. Here you have to fill the other credentials asking in the form comprising of Address, Name of the city, Country, state etc. Save the details by clicking on “Save Details” Button. 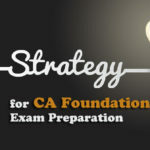 Now, you are eligible to apply for CA IPCC May 2019 Exams. You are a registered user now. Hence, need to submit your Login ID and password to login to your account. Fill your Application form for CA IPCC May 2019 Exams carefully and students who are pursuing this course through the Direct Entry Route also need to upload a scanned copy of the Declaration of Service. “Save and Preview” your form once you have verified all the details. Click the Final Submit button only when you have completely verified it. Make the payment of Examination fees by clicking on “Make Payment” button. Your form is deemed to be submitted when your payment is successful and the system has successfully generated a pdf. After successful completion of payment, the system will automatically generate a PDF. Click on “Download PDF” and keep its print for the further reference. 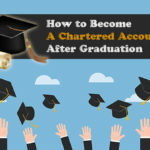 ICAI has facilitated that you can make the payment of Exam application fees by VISA / MASTERCARD or Credit or Debit Card. The candidates shall bring to their notice that late fees will be applicable if the application is submitted after the last date. 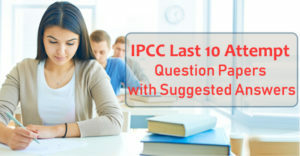 Download CA IPCC Last 10 Attempt Question Papers with Solutions from here.